Inventive and world-class cocktails in Bangkok can now be enjoyed in creatively well-designed and surprising spaces. 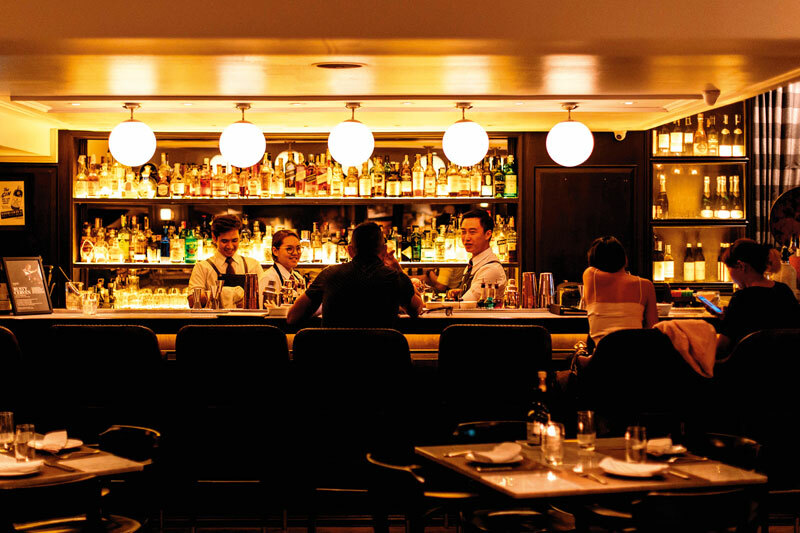 To imbibe in masterfully-done classics to local drinks, one just has to find the door. In a metropolis that thrives generously and organically like Bangkok, one can easily hope to be delighted and enthralled with endless choices of virtually everything the capital has to offer. World-class cocktails and award-winning mixologists come to mind. While Bangkok offers a wide range of dining, shopping and relaxing options, the fast-growing cocktail culture lights up the city’s drinking scene with an abundance of charming and unique standalone cocktail bars, many of which are hidden in plain sight and waiting to be discovered. Gone are the days when cocktail lovers seek refuge in mundane hotel bars to get a decent drink. Thanks to Bangkok’s multi-cultural vibe and more extensive access to spirits and liquor from all over the world, the cocktail culture finally found firm footing in the city’s food and beverage industry, offering not only high-quality classics but also innovative and creative signature concoctions, catering to local and international palates. Another factor that plays a major part in Bangkok’s cocktail boom are more savvy, knowledgeable and skilled mixologists. Cocktails have become an art from that takes practice and specific know-how. Cocktail and bartending competitors during the past decade help hone and provide talented bartenders and mixologists to the scene, thus boosting the cocktail culture in Bangkok with unique bars overseen by the independent and creative spirits of men and women. Frequent visitors to Bangkok may be familiar with streets for clubbing and nightlife areas such as Soi Thonglor, Silom Road or even Khao San Road, but these are not where you find Bangkok’s great cocktails. Stray a bit off the beaten track, wander into an unfamiliar neighbourhood and make your own discovery. Your next favourite cocktail might as well come from a small bar behind your hotel! 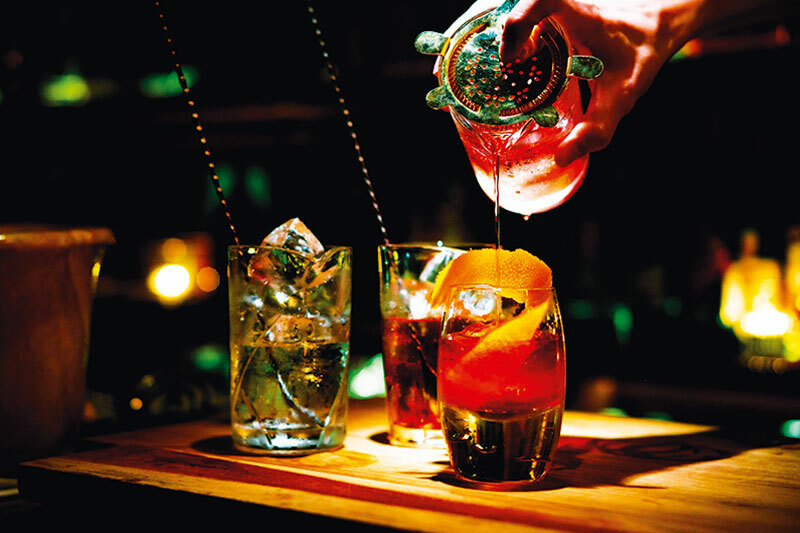 The establishment that started it all is arguably Vesper, whose meticulously curated cocktails established itself in the semi-red light district on Silom Road. Opened three years ago on Soi Convent and previously occupied by Irish pubs, run-down restaurants and rowdy street food stalls, sophisticated palates now enjoy Vesper’s cocktails from a drinks repertoire drawn from a bygone era in Europe. Elements of ‘spirit-forward drinks’, top-notch liqueurs and precise bar tending techniques refer back to the cocktail nostalgia. It’s probably the cocktail bar graced by the most award-winning mixologists from around the world, including Vesper’s group bar manager Supawit Muttarattana, winner of World Class Thailand and the no.13 best bartender in the world 2012. His award-winning team constantly churns out a series of mind-blowing cocktails promising an all-encompassing journey and gustatory experience. 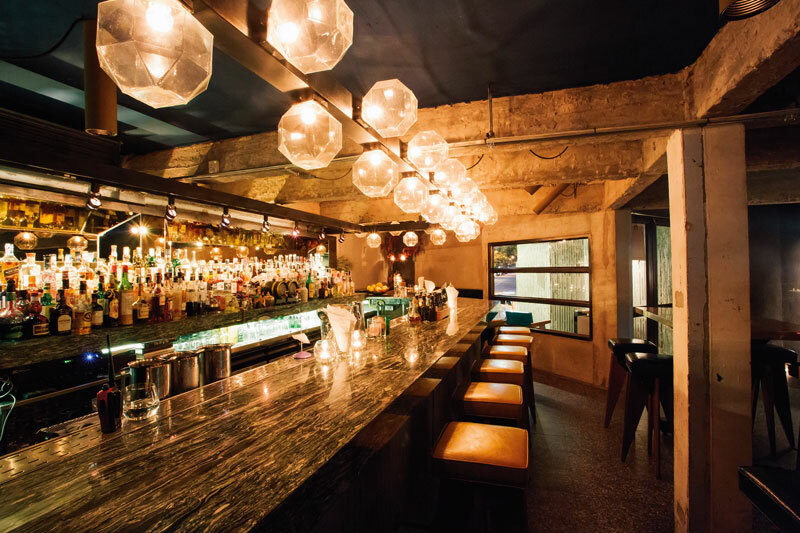 The bar occasionally hosts special nights with guest bartenders from other cocktail-forward countries around the world. HRS: Opens daily from 6pm. Over on nearby Sathorn Road, hoem to the financial institutions and international conglomerate offices and embassies, there is a small strip on Soi 12 that offers a variety of street-side cafés, restaurants and bars. Recommended for cocktails is Bunker, a grim-looking concrete three-story shop house-turned bar and restaurant at the end of the alley. Along with wines and craft beers is a broad selection of “modern classic” cocktails created with local ingredients and premium spirits. Here’s where you can sip and mingle with Bangkok’s creative crowd at the bar underneath bare concrete beams or for more privacy and indulging in fine American cuisine, head upstairs. The private upper floors are reserved for fine dining. In pleasant weather, the third floor and its outdoor area is an ideal place to enjoy a drink. Even if it’s named after a military shelter, the design speaks more of a warm place to hang. *The bear features a cocktail list created by Diageo World Class 2015 finalist Natakorn Changrew, notably the Bourbon Maple Sour.